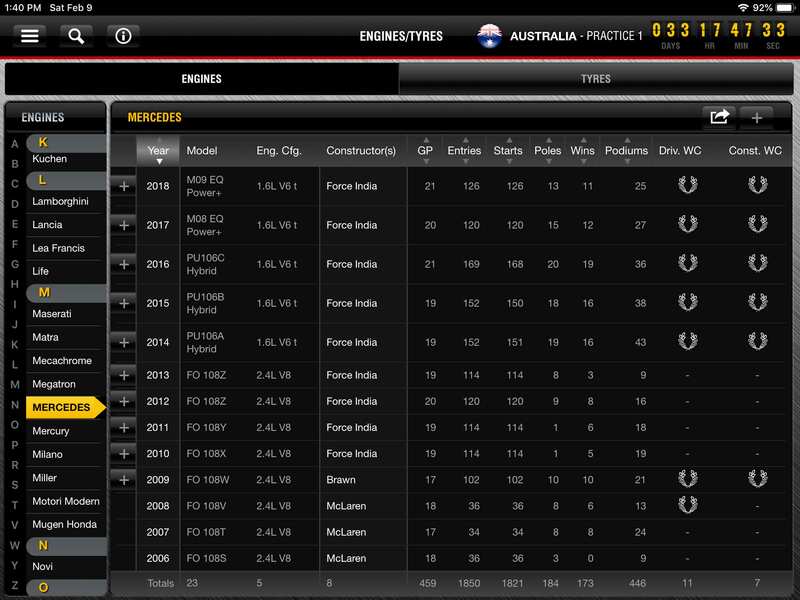 F1 GPGuide - THE source for F1™ data & stats ! 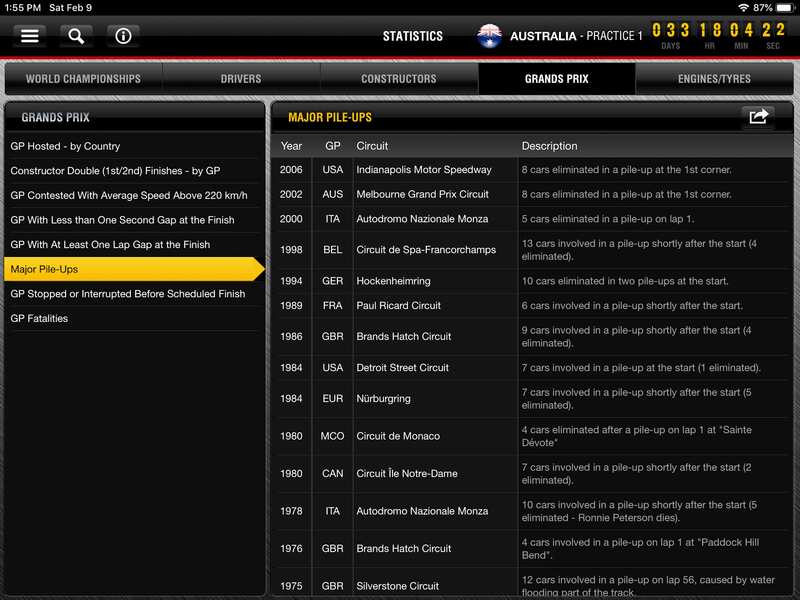 THE GO-TO F1 REFERENCE APP !! 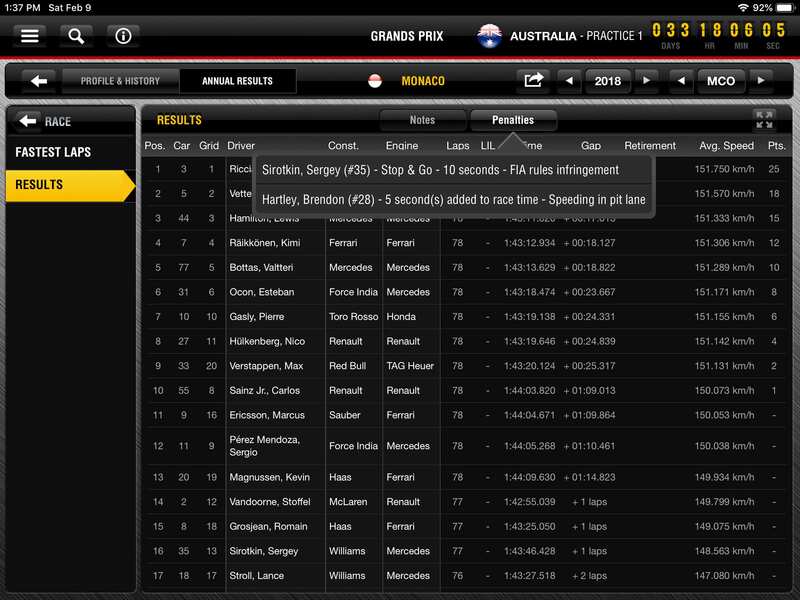 Formula 1™ data and statistics is now purely MOBILE ! 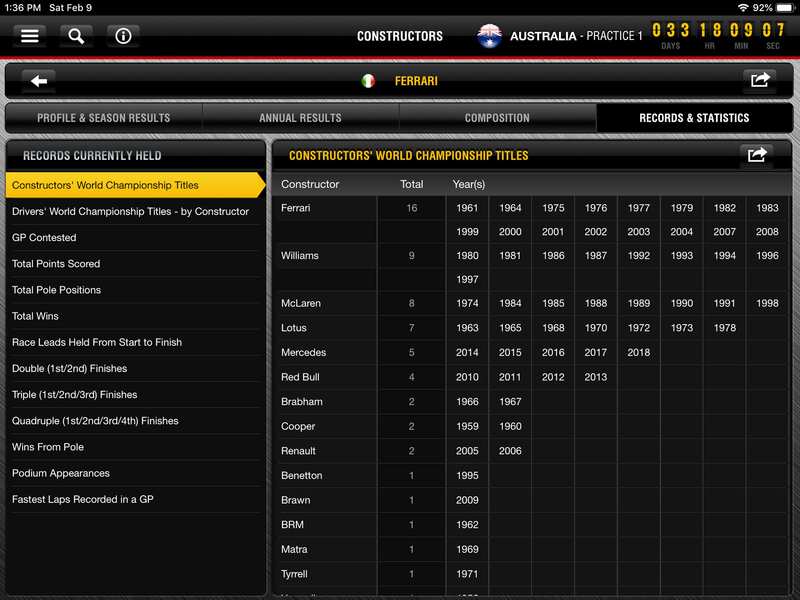 GPGUIDE HAS BEEN COVERING FORMULA 1 FOR MORE THAN 3 DECADES ! 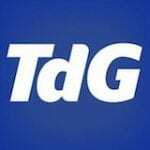 After 35+ years in print, and 10 years on the internet, GPGuide is taking the next major step and becoming purely MOBILE ! 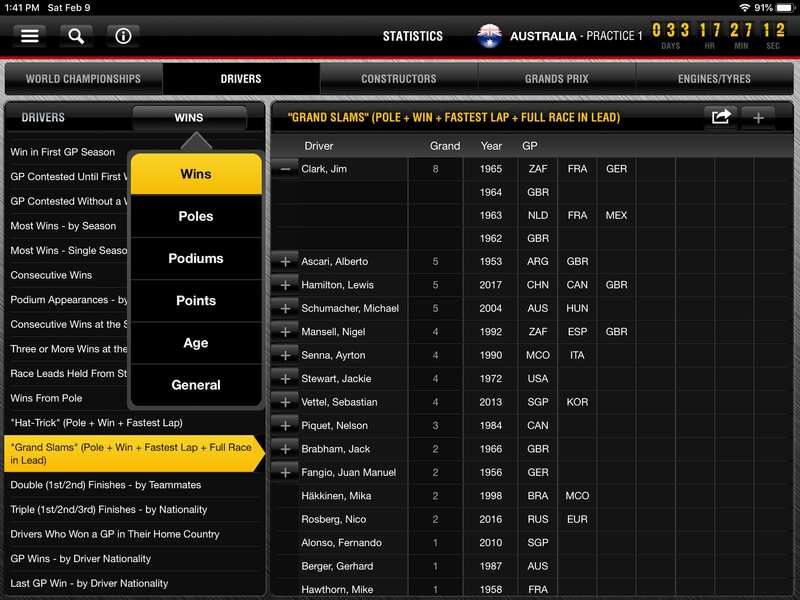 The fully interactive GPGuide app is the most advanced and recognized reference for Formula 1™ data and statistics ever developed, covering the complete history of the World Championships, since Formula 1 began in 1950. 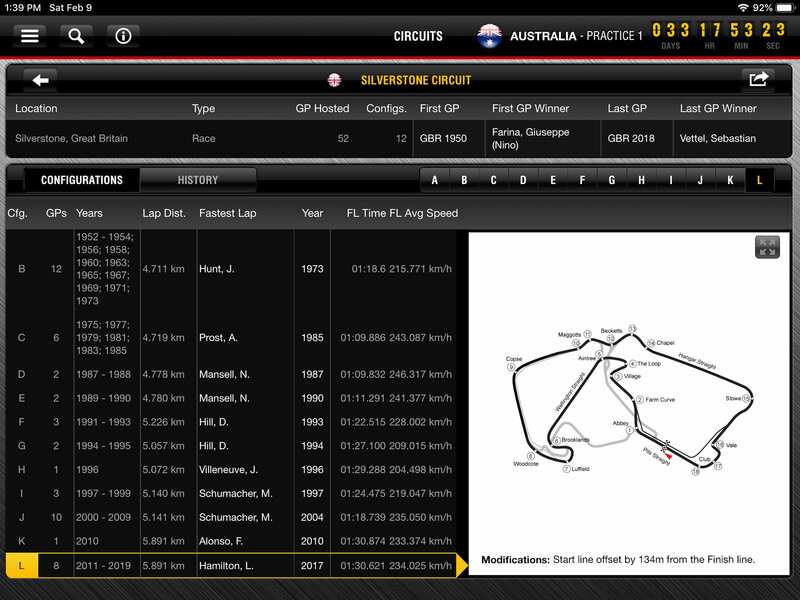 With 30,000+ pages of mobile data content, available is 6 languages (English, French, German, Italian, Spanish & Portuguese), GPGuide is the unmatched F1 Reference ! 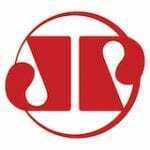 … and now, after almost 1 year of development, it has been rebuilt for the latest mobile and tablet devices, and finally, available on the ANDROID platform ! 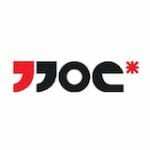 THE DEPTH & BREADTH OF OUR CONTENT IN UNEQUALED ! 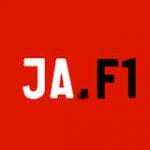 Latest global F1 news, consolidated and centralized, with archives going back 5+ years. 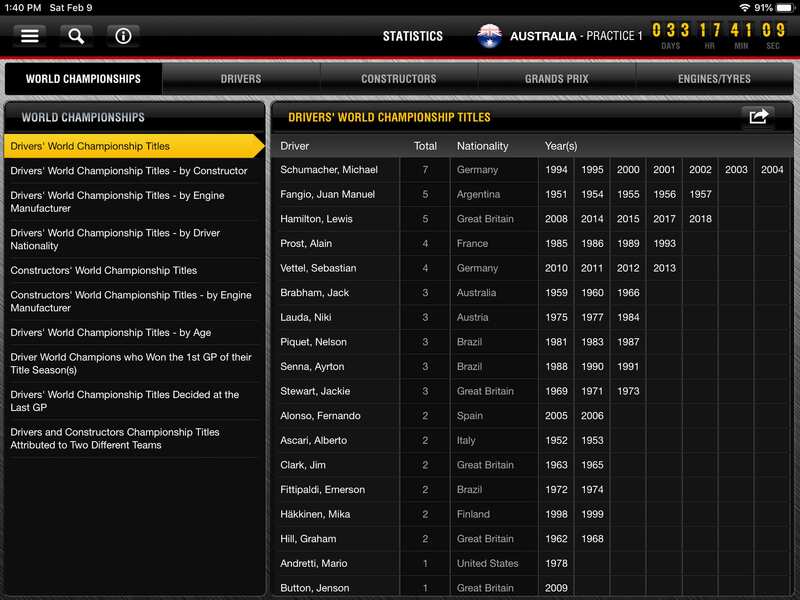 Entries, Qualifying, Grid, Race Results, Fastest Laps, Penalties & Notes, for EVERY GP since 1950 ! 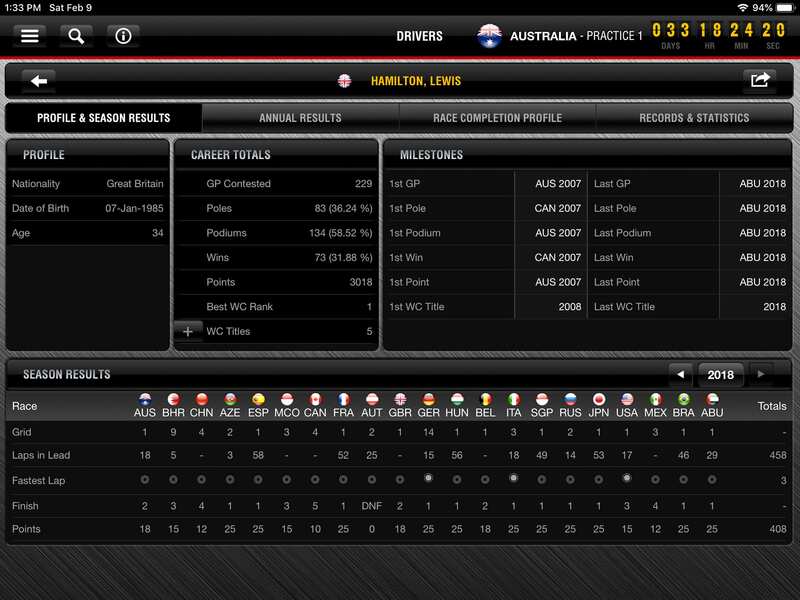 Career Totals, Milestones, Annual Race Results, F1 Records Held, and so much more, for 960+ Drivers ! 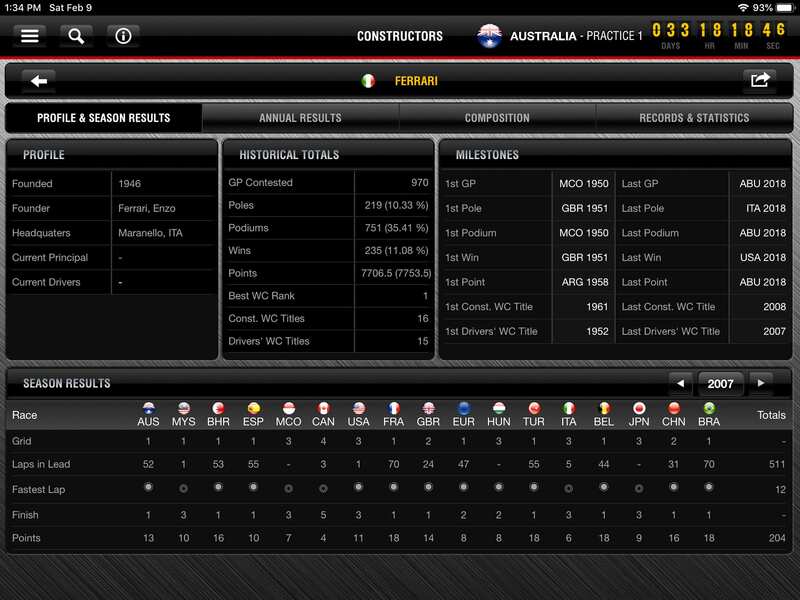 Totals, Milestones, Annual Results, Team Composition, and F1 Records, for 200+ Constructors ! 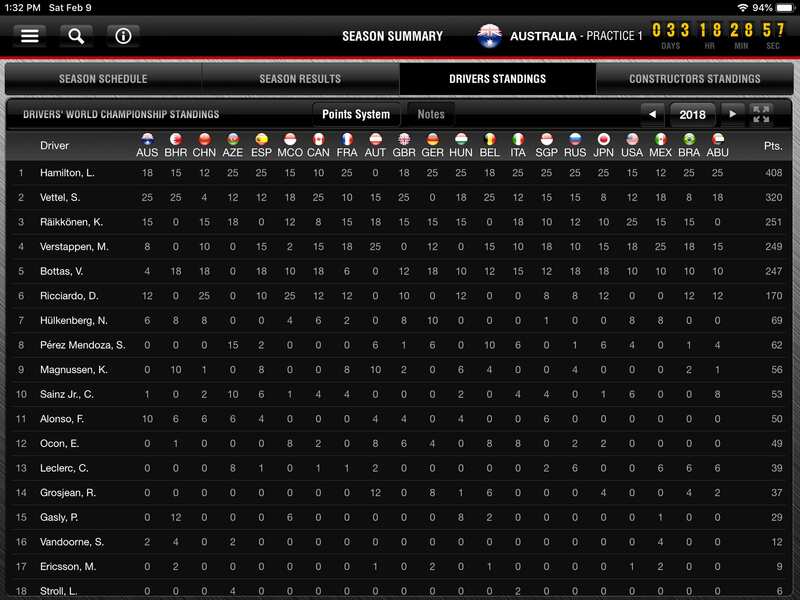 GP Results, Championship Standings, and F1 Records Established During Season ! 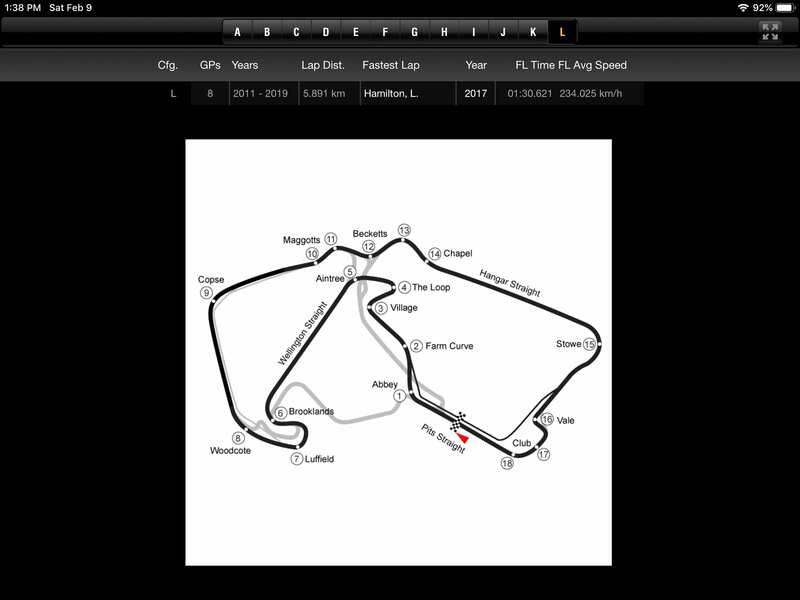 Circuit Maps, Annual Results, Lap Records, Race Distance, and Start Line Offset, for 70+ Circuits ! 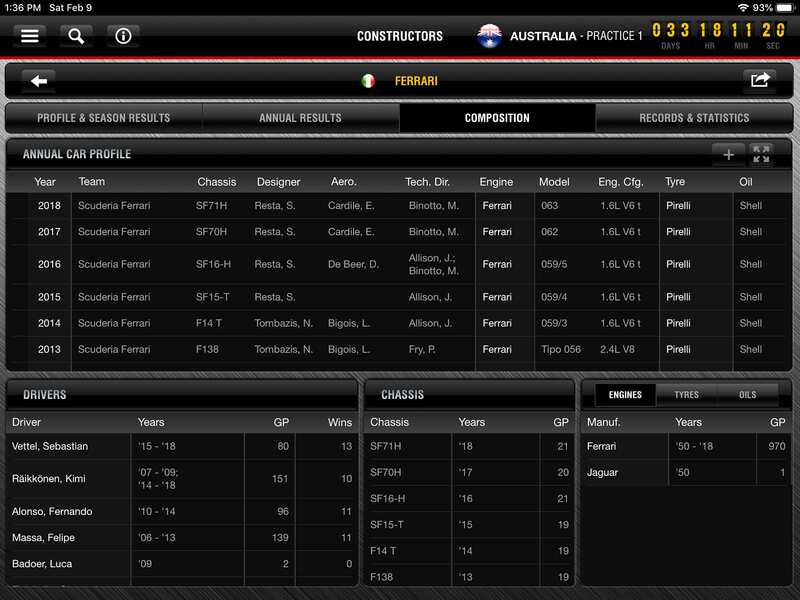 Entries, GPs Contested, Poles, Wins, Podiums, Fastest Laps, and much more, since 1950 ! 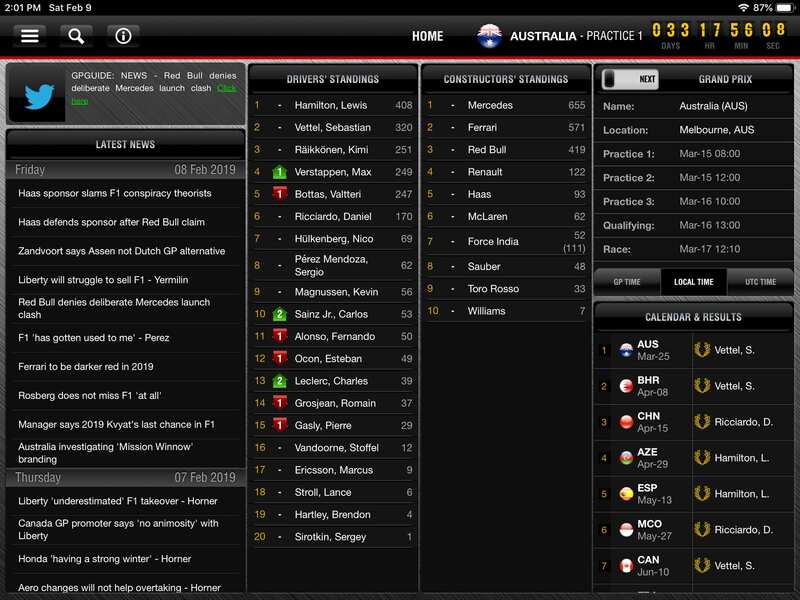 150+ statistics, covering Drivers, Constructors, Grands Prix, Championships, and more ! GLOBAL JOURNALISTS, PHOTOGRAPHERS & OTHER MEDIA RAVE ABOUT GPGUIDE ! 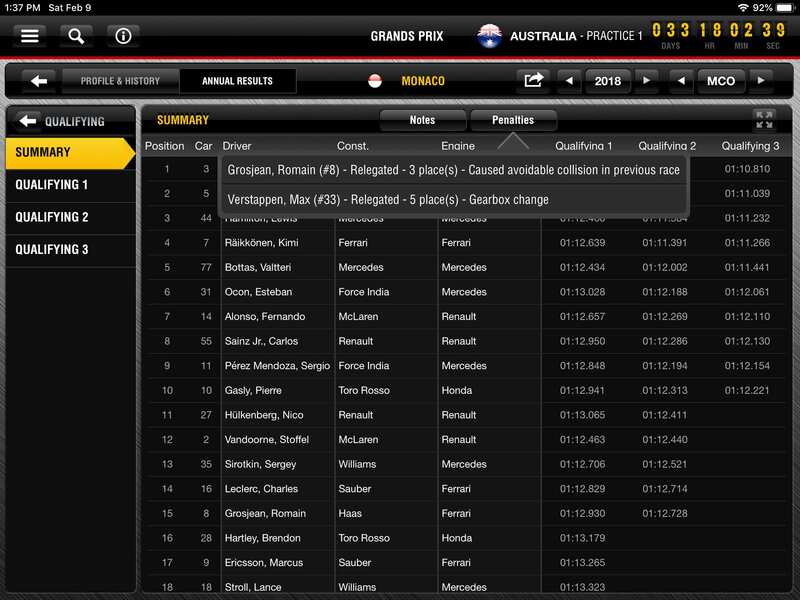 WITH 30,000+ PAGES OF MOBILE DATA CONTENT, AVAILABLE IS 6 LANGUAGES, GPGUIDE IS THE UNMATCHED F1 REFERENCE ! How to get access ! How we do things ! How we protect you ! WITH A DEDICATED USER INTERFACE, THE LARGER TABLET SCREEN ALLOWS FOR FOR A COMPLETELY DIFFERENT GPGUIDE EXPERIENCE ! 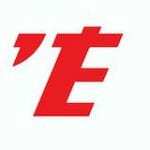 F1, FORMULA 1, FORMULA ONE, FIA FORMULA ONE WORLD CHAMPIONSHIP, GRAND PRIX and related logos are trademarks of Formula One Licensing BV, a Formula One Group Company. All rights reserved. 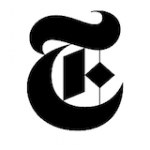 All other trademarks, logos, and copyrights are the property of their respective owners. 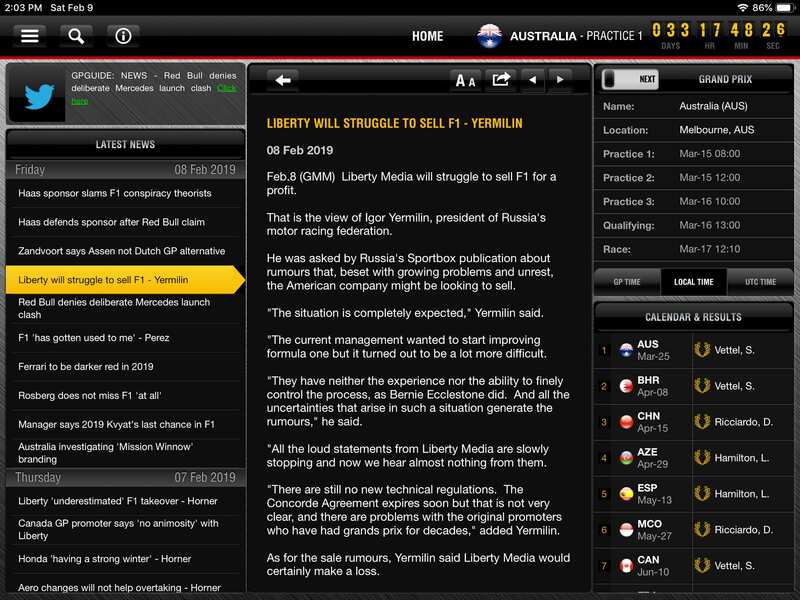 This application is unofficial and is not associated in any way with the Formula One group of companies. 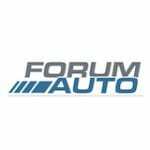 FIA is the trademark of the Federation Internationale de L'Automobile. Formula One Licensing BV owns the Formula One trademarks.